If you are connoisseur of folk art and craft, love walking around and enjoy a rustic feel, Bishnupur is for you. Popularly known for the terracotta temples and Baluchari saris, Bishnupur is located in the Bankura district of West Bengal. The terracotta temples in Bishnupur are believed to be from the 17th and 18th century and were built during the reign of Malla Dynasty. The Malla kings were great patron of art, music and literature. And that is clearly evident in the various temples you’ll fine in Bishnupur. Built using burnt red brick, these temples have stood the test of time. Bishnupur has a glorious past that is reflected in its rich architecture, music and handicrafts such as pottery and weaving. It was during the 17th century when most of its important temples were built. And the credit for building such beautiful structures goes to Bir Hambir and Raghunath Singh, the Malla rulers. Toady Bishnupur makes for a lovely heritage holiday destination and the best way to explore Bishnupur is on a cycle rickshaw. It is the most prominent landmark and a popular tourist attraction in Bishnupur. Most hotels, eating joints and shops are scattered around Raas Mancha. As the name suggests, it is not a temple but a pavilion for dances. 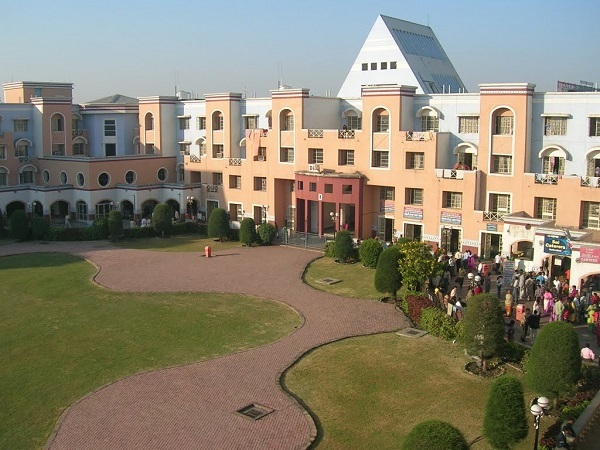 Used by the kings as a venue for the Vaishnavite Ras festival. During this festival, all deities from nearby temples were brought here. Its pillared corridors are replete with intricate terra cotta relief work. The temple has a unique pyramid like structure, and is one of its kinds in the state. The other prominent landmarks in Bishnupur are Shyam Rai Temple (built in year 1643), Jor-Bangla Temple (built in year 1655), and Radhe Shyam Temple (built in year 1694). 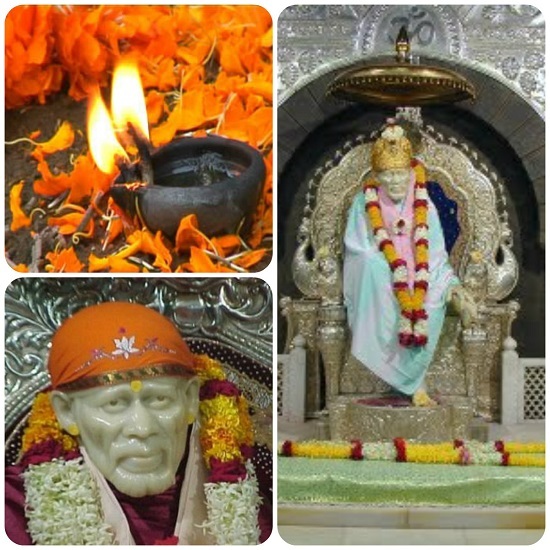 These temples are located next to Shyam Bandh Lake in the fort area. The Shyam Rai temple is a pancha-ratna or a five-towered temple built on a low platform. 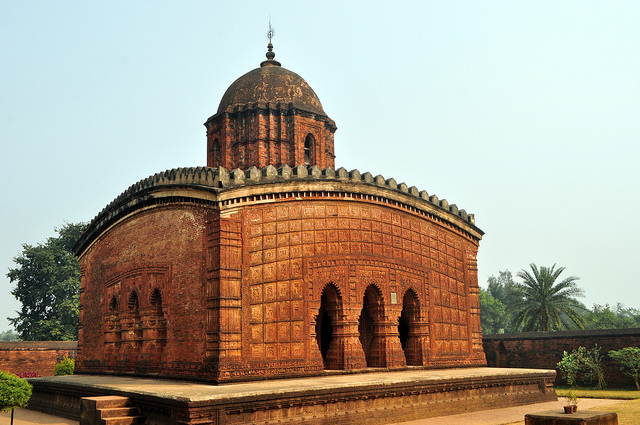 The Jor-Bangla temple is built in Bengal’s “Chala” style of architecture. A small tower in the center adds strength and stability to the twin sloped roofs. All these temples have motifs depicting scenes from Krishna’s life and Ramayana. You may also find scenes like Buddha accepting food from Sujata and Bhishma lying on a bed of arrows in these temples. One may also visit the Jogesh Chandra Pura Kirti Bhavan Museum exhibiting manuscripts, metal jewellery, pattachitra and terracotta art. Bishnupur is well known for its various art and craft items and don’t forget to take back a slice of Bishnupur as a souvenir. 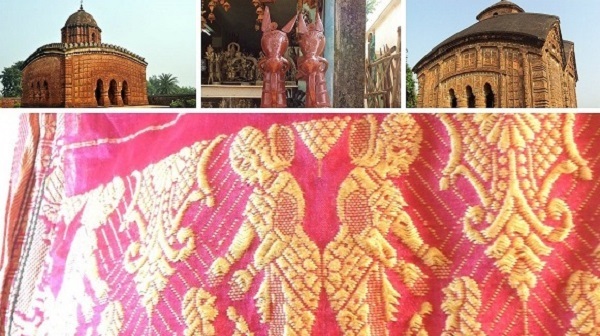 Baluchari sari, Bankura horses, bell metal objects, conch shells depicting mythological scenes and terracotta tiles are some of the items that one can buy in Bishnupur. Bishnupur can easily be reached by air, rail and road. The nearest airport is Kolkata, 168 km away and nearest railway station is Bishnupur. State Transport Buses to Bishnupur are available from Kolkata’s Esplanade Bus Stand.